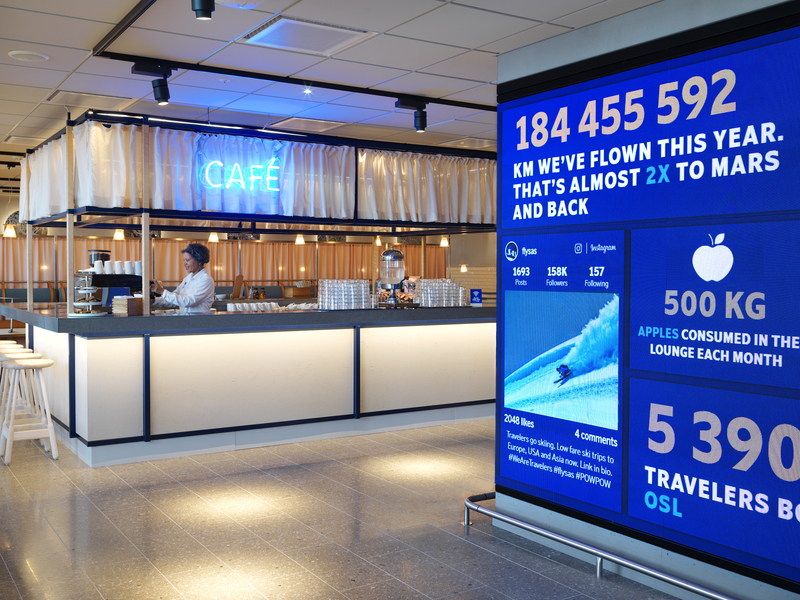 Eindhoven, the Netherlands – Philips Lighting (Euronext: LIGHT), the world leader in lighting, is helping travelers using the Scandinavian Airlines Systems (SAS) Experience Lounge at Oslo Gardemoen Airport, to combat jet lag. The new lounge features architectural lighting and focus rooms equipped with Philips connected LED lighting systems that enable guests to personalize the lighting to suit their needs. There is also a room with a special daylight boosting light designed to energize guests before they fly. “The concept of SAS’ next generation lounges is to create a unique experience and an environment that meets the needs and wishes of our guests while traveling. The ability to impact or accentuate mood through ambience and physically energize people through light underlines our commitment to serve the needs of our travelers and make our lounges truly memorable,” explains Cilla Nordenberg, Concept & Development Manager at SAS Group. SAS offers a total of 19 lounges at airports in the Nordic region, Europe and the US which are available for customers traveling in SAS Plus or SAS Business and to all EuroBonus Diamond or Gold Members. 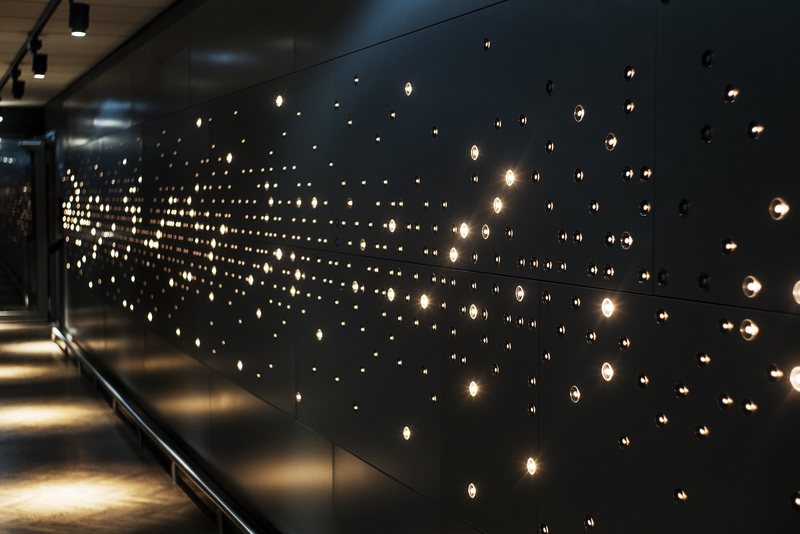 When entering the experience lounge on the first floor, visitors are welcomed by two Philips Luminous Pattern walls artistically representing the twinkling night view of a city as a plane lands. Along with a wellness room and an innovation hub installed with Philips luminous textile panels, the spacious lounge contains three rooms that have been equipped with Philips Hue, enabling travelers to personalize the light settings to their own needs as if they were at home. Guests can set scenes for the optimum reading experience, to concentrate, or to help them relax and unwind before departure. “Light plays an important role on how people actually feel. We wanted to create a positive and memorable experience in the new lounge. Our lighting concept aims to energize guests before they travel or offer them a space to relax and recharge,” says Astrid Simonsen Joos, Market Leader Philips Lighting Nordics. The Luminous Patterns wall and Luminous Textiles are controlled by the Philips Dynalite System, which enables precise control of the lighting and ambiance creation. About the project: The SAS Group (Scandinavian Airlines System Denmark – Norway – Sweden) has 1,300 destinations worldwide and connects smaller regional airports with larger hubs in Scandinavia. 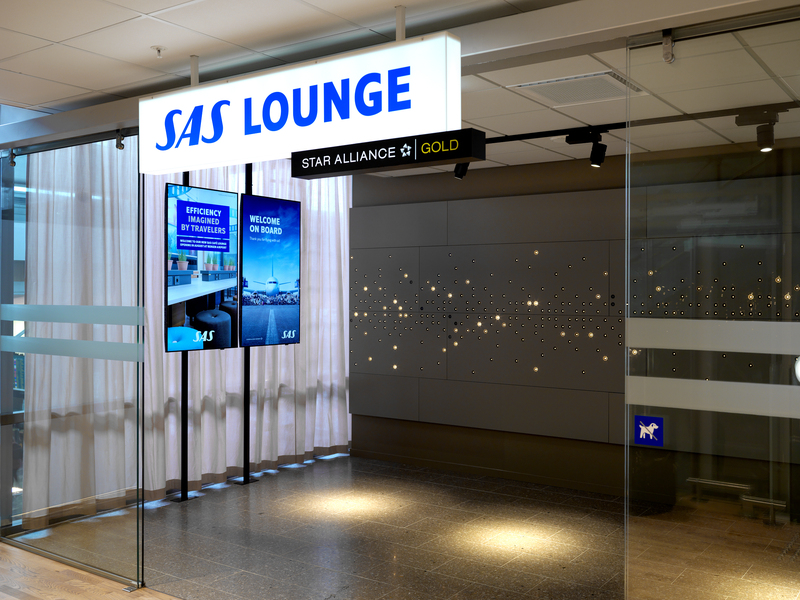 The new SAS Experience Lounge was opened at Oslo Gardemoen Airport on September 30, 2017. Technology used: Five Philips luminous textile panels, one 11-meter-long (corridor) and one four-meter-long (entrance) Philips Luminous Patterns wall, 127 Philips StyleiD PerfectBeam , 80 Philips LuxSpace Accent, Philips Dynalite System. The focus rooms have been equipped with three Philips Hue WhiteAmbiance 5.5W GU10, three Philips Hue Color LightStrip Plus. For more information, please visit the Philips Hue website. Philips Lighting (Euronext: LIGHT), the world leader in lighting products, systems and services, delivers innovations that unlock business value, providing rich user experiences that help improve lives. Serving professional and consumer markets, we lead the industry in leveraging the Internet of Things to transform homes, buildings and urban spaces. With 2016 sales of EUR 7.1 billion, we have approximately 34,000 employees in over 70 countries. News from Philips Lighting is located at the Newsroom, Twitter and LinkedIn. Information for investors can be found on the Investor Relations page.